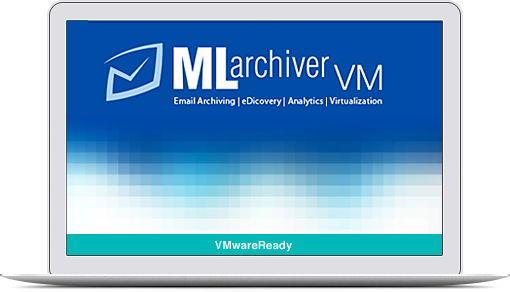 VMwareReady offers certified software for compliant email archiving, while also meeting regulatory, legal, IT, and corporate policy requirements. The MLArchiverVM by Data storage corporation delivers to you an impressive combination of industry-leading archiving along with compliance monitoring, while also taking advantage of the scale-on-demand VMware virtualization capabilities. All taken together, this delivers to you a powerful, seamless, and long-term solution to your email archiving and legal discovery requirements and concerns. As every company understands, being able to maintain your competitive edge is of the utmost priority and importance. In these modern and technological times, one of the best ways to stay ahead of the pack is through choosing the best virtualization solution that meets your business requirements today, while also being able to grow with your business on into the future. MLArchiverVM by Data storage corporation has been designed and built to deliver you an intelligent archiving and compliance monitoring system that boosts the speed of your investigations, slashes and sometimes eliminates litigation expenses, effectively manages compliance policies, and is able to shrink IT operational expenses, all the while reducing business risks. VMware Ready for any on-site or cloud environment. Includes 1 year of MLPro support and monitoring. On-premise or deploy in your favorite cloud.